If you increase your vocabulary you’ll not only help your reading, you’ll also make your writing more precise. Here is my word of the week. I had always thought that disgraced newspaper baron Conrad Black had the largest vocabulary of anyone I’d ever heard. 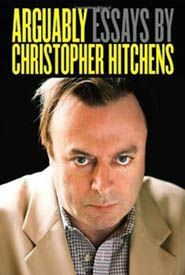 Then I read Arguably, a collection of essays by the late Christopher Hitchens. Hitch wins the high vocab award, hands down. He [Anthony Powell] attained seniority and status just as the old and solid Britain and its empire were undergoing deliquescence. Use of the word originated in chemistry, in 1756. It’s Latin with de- meaning “down from” and liquere meaning liquid. General use dates from 1858. As a verb it meant “to melt away.” As a noun, used above, it means “declined,” but it carries the strong hint of intellectual sloppiness. For example, everyone knows that ice allowed to warm always melts into water. This makes “deliquescence” an apt if stinging metaphor for British rule, don’t you think? I’m giving away three free apps, for the Wordflex touch dictionary produced in association with Oxford University Press. Anyone who posts a comment on my blog this week — by no later than Friday, June 15, is eligible for a draw to win one of them. (Note: You need an iPad to be able to use the dictionary.) If you’re interested, please describe why in your post. I’ll be reviewing the app on Thursday, June 14 and announcing the winners on Tuesday, June 19.